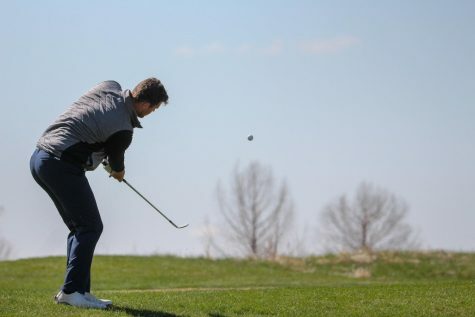 The men’s team hosts the conference tournament at its home course of Alvamar Golf Course in Lawrence on May 4 and 5. 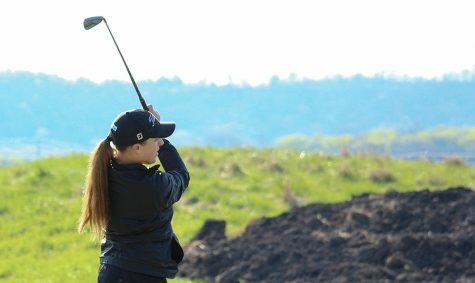 After finishing fifth in the Baker University Spring Invite on the same course, the Wildcats will look to take the conference tournament title like their female counterparts. The men will play 54 holes over the two-day tournament, 36 on Monday and 18 on Tuesday. For Thompson this will be a great test after finishing second in the conference tournament last year. 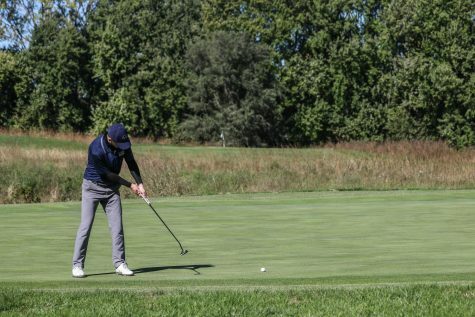 Thompson was the leader after 36 holes in last season’s conference tournament at Indian Foothills, and on day two the course was a swamp. 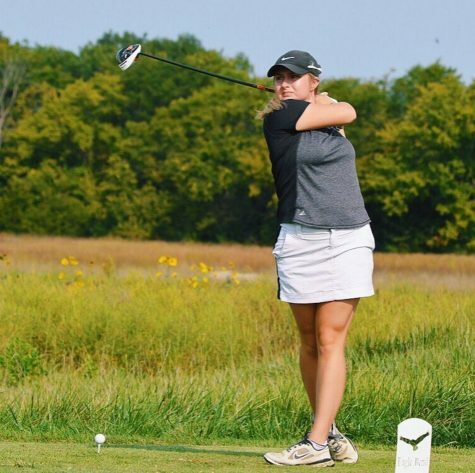 Thompson was tied going into hole 17 on day two and bogeyed to fall behind by one stroke. Thompson was playing with last year’s champion Tyler Barr from Culver-Stockton and on 18, Thompson had to beat Barr by one stroke. 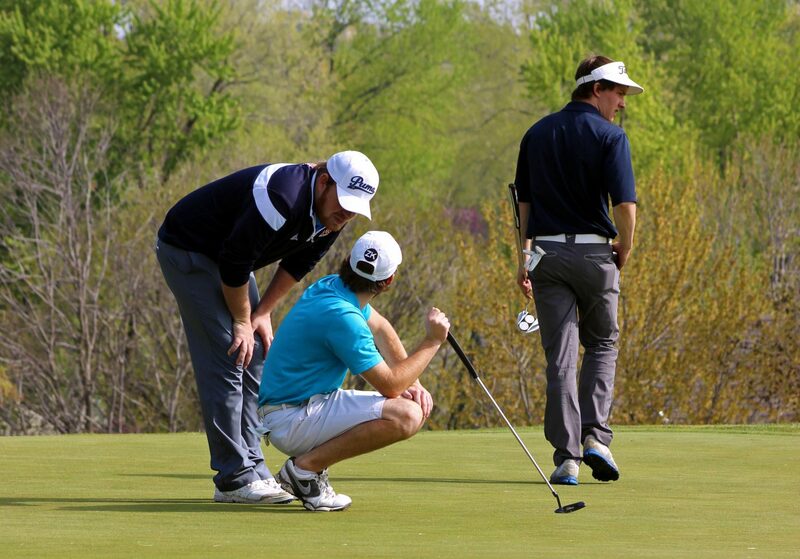 Barr finished out his par putt for the win before Thompson sunk his par to lose by one stroke. As a senior, Thompson believes he can play just as well as last season. The team will feature five players including Thompson, senior Zach Pickett, junior Grant Grego, sophomore Christian Bickley, and freshman Zach Spencer. The five have continued to put in the extra work at practice and have been staying late almost every night over the past two weeks. 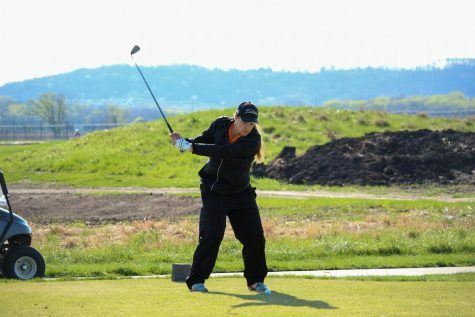 Baker will have to knock down reigning conference champion Culver-Stockton and beat Missouri Valley, who won the Spring Invite tournament at the beginning of the month. This could be Thompson’s last competitive tournament with a team, and he wants to go out with a bang.